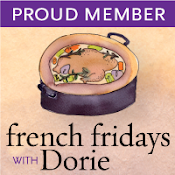 This week’s French Fridays with Dorie challenge is Tuna Confit with Black Olive Tapenade and Tomato Salsa. In case you’re wondering what confit is and how it works, here is an excellent article. This recipe isn’t at all difficult to make, but you have to allow enough time for the process. All the makings of a gourmet meal! Luckily, we had a great piece of Ahi Tuna in our freezer that we’d purchased from the fishermen right off the Ventura II in the Ventura Harbor. After we thawed out the tuna, John sliced it into one-inch thick steaks which we immersed in olive oil infused with fresh herbs, preserved lemons, and sun-dried tomatoes. The fish rested overnight, then spent one hour in the oven at a very low temperature. While the tuna was in the oven, John made Purple Sticky Rice and I made a tomato-avocado salsa (sorry, Doristas, no peppers for me!). 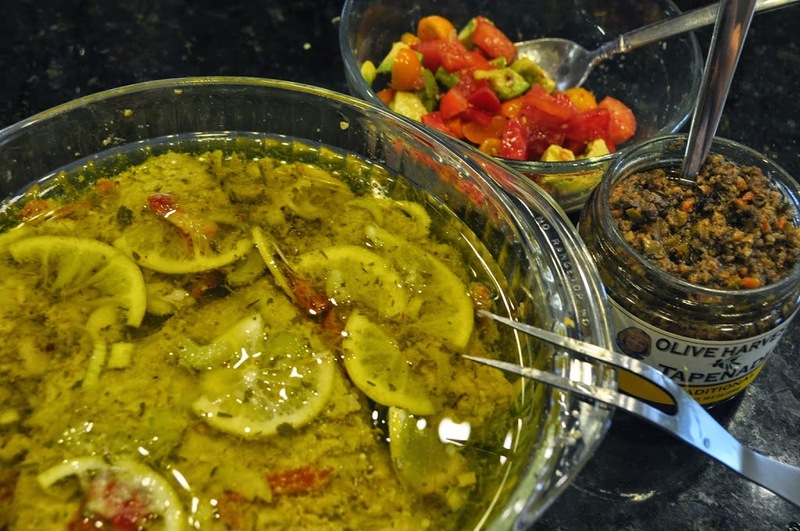 We did take a shortcut and used store-bought tapenade. Since most of the work was done the night before, this was a perfect meal for a weeknight. It by far surpassed my expectations. The tuna was so moist and infused with flavor and taking bites with alternating bites of tapenade and salsa, it was so fresh and delicious! We think the leftover tuna would be perfect for Salade Nicoise.One of my favorite things about belong to this group is learning new techniques. This is one we will certainly use again. It’s just delicious!Bon Appetit! These recipes are provided for your personal use. If you publish them, or re-post them, please give me credit. Grazie e Buon Appetito! What lucky ducks to have a chunk of freshly caught tuna in your freezer! I loved this one, too! Those lemons look delicious! I bought the wrongs ones, so that element was missing from my dish! including the salsa. I forgot to buy the tapenade, and couldn’t find an olive in the house to garnish with. Although, I’m not sure it was necessary. 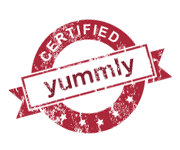 Yours looks fantastic, and I am sure using ahi tuna was wonderful. The avocado/tomato combo sounds perfect. So it the tuna was good over night. I was afraid to marinate it that long. Good to know, because I really liked the flavor too. Looks awesome! And, I can attest that the leftover tuna is just perfect in a Salad Nicoise. Delicious! Gourmet meal it certainly was. Dressed up or down, both equally FAB! Yep, this technique seemed to be new for most of us. I have so much more confidence to tackle these new techniques or challenging recipes as part of this group. One of these days I still need to tackle duck confit. Fresh tuna is a wonderful thing (although, when you are suddenly in possession of 60 #’s of it, that can be a little daunting). I am not a pepper or tomato fan, so I left the salsa eating to the rest of my eaters. This was good, wasn’t it. I was dubious about it, but was pleasantly surprised after trying it. Loved the whole post and thanks for including that beautiful shot of Ventura. Gorgeous. Yes, this was a fun way to prep fish – one that I had certainly not done before. Lots of options for any leftovers (should you have any) which is when you know you have a winner…you are excited at creating delicious treats even with the leftovers. And purple rice- yes please. 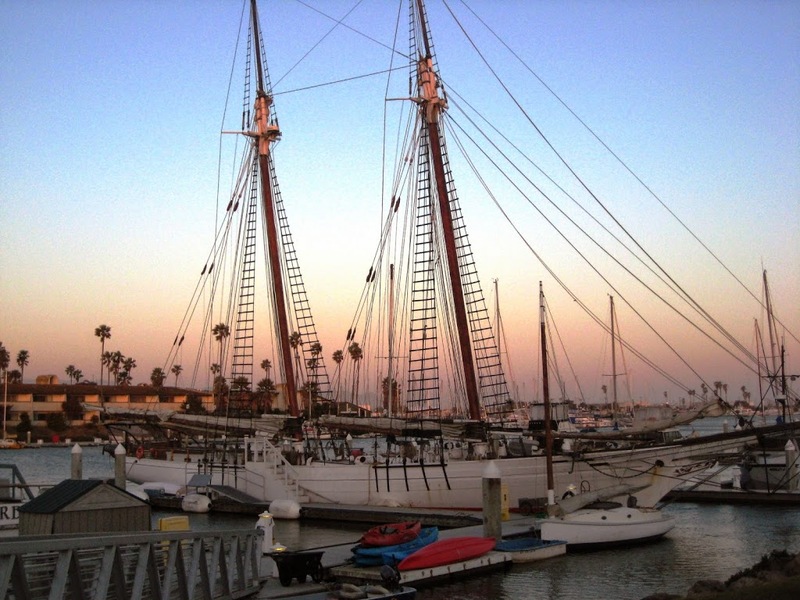 I too like your picture of Ventura harbor at twilight. You made a very colorful meal. I haven’t enjoyed fresh tuna since I last was in Sanary-sur-Mer and could buy a piece right at the dock. A man. A fish. A knife. He just cut the size of slab you wished. That still seems like an amazing experience to me. Your entire meal looks delicious. And, you’re right about techniques. I made the tuna confit but just didn’t do a post. The leftovers made great fish tacos. 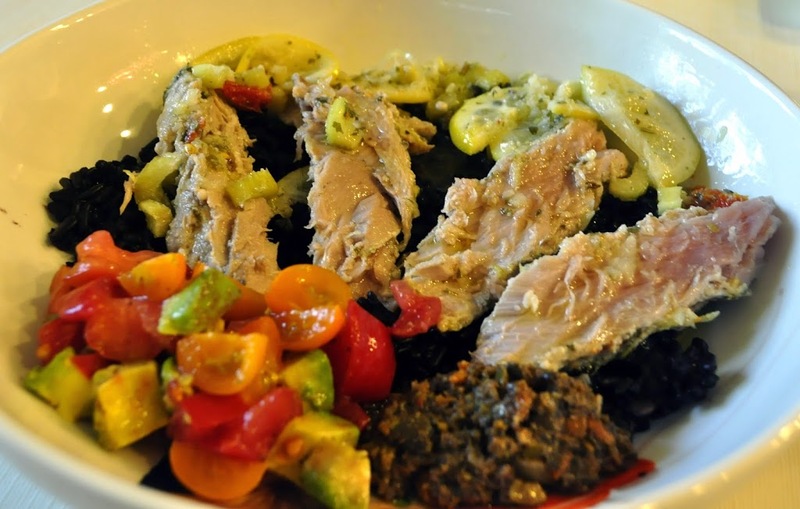 I have never had tuna confit – but it sounds worth making! I bet the tapenade was a great accompaniment! I bet that would be fabulous with tuna nicoise!